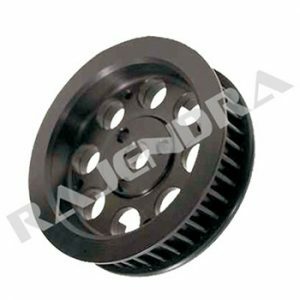 Our expertise in providing excellent solution associated with any type of pulley need makes us front runner in the India. The offered poly-V pulleys are one of them, designed to resolve the issues related with the space constraints, high ration or high torque drives and therefore poly-V pulley is also famous as micro V- pulley in the market. The highest quality standards in conjunction with the precision engineering have made our poly V- pulley a most reliable pulley that does not, unlikely to standard V-pulley, have made available all across India in the far reaching specification.